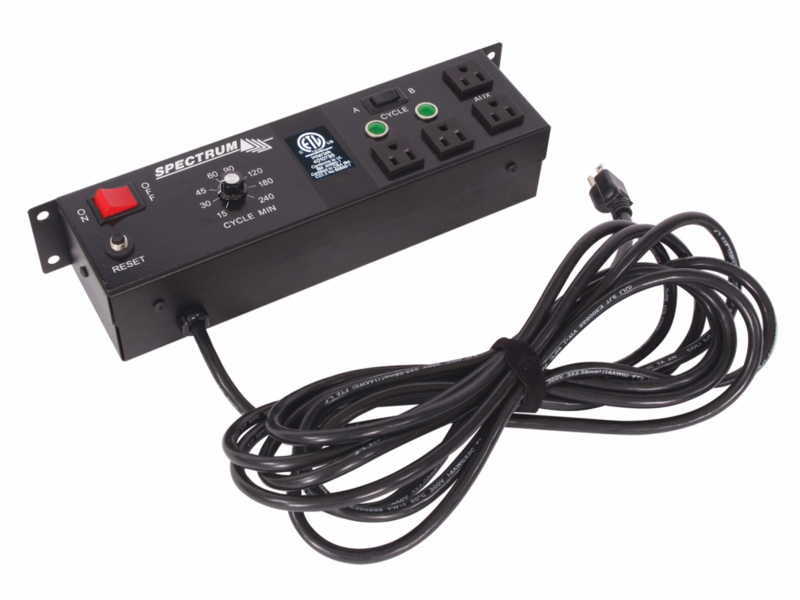 The Value Cycle Timer prevents overload by alternating power between both power strips in the cart, providing charging to multiple laptops during the day. The power strips plug into the outlets labeled 'A' or 'B'. The timer switch can be adjusted between 15-240 minutes. Suitable for use on select Spectrum laptop carts with dual power units.